The fallacy of the claim that the costs of government are borne by the rich and those who make a direct contribution to the National Treasury can not be too often exposed. No system has been devised, I do not think any system could be devised, under which any person living in this country could escape being affected by the cost of our government. It has a direct effect both upon the rate and the purchasing power of wages. It is felt in the price of those prime necessities of existence, food, clothing, fuel and shelter. It would appear to be elementary that the more the Government expends the more it must require every producer to contribute out of his production to the Public Treasury, and the less he will have for his own benefit. The continuing costs of public administration can be met in only one way — by the work of the people. The higher they become, the more the people must work for the Government. The less they are, the more the people can work for themselves. To restore the proper ownership of what people earn was what drove Coolidge and Mellon to insist upon Congress cutting rates across the board, fighting to eliminate penalties like the estate tax and genuinely reducing expenditures (remember this was before baseline budgeting). While the Revenue Act of 1924 retained the tax on estates (to Coolidge’s disappointment), it would continue the decrease of rates from 58 to 46% at the top and down to 1.125% at the bottom. 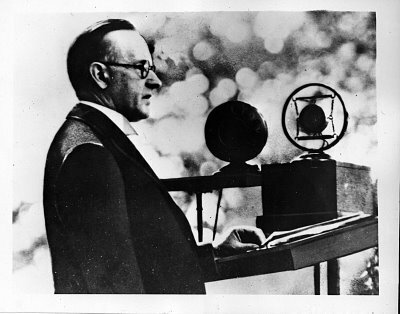 For Coolidge, tax and expenditure reduction was a moral obligation. Higher and higher rates bore inescapable costs on everyone. Though the Federal minimum wage would not arrive until 1933 ($0.25/hr), it (like all taxes on what is earned) only harm everyone, employer and employee, rich and poor alike, shackling the future to government spending habits. Higher rates, as they had become in Coolidge’s lifetime, were an avoidable source of division for what should be a United States. As President Coolidge knew all too well, feeding class warfare as the basis for tax policy would only spread suffering and prevent the return of economic health. It may seem that low tax rates are good for the economy, but history has proven this to be a fallacy. Coolidge cut taxes in 1924, 1926 and 1928. The Great Depression started in 1929. Clinton cut rates in 1997, and Bush cut them more in 2001 and 2003. The Great Recession started in 2007. Meanwhile, the most prosperous times for the American middle class were the 1950s and 1960s – when the top tax rate was over 70%. Your timeline may be convenient if the preconceived notion that cutting rates causes depression, but the gaping omissions in your argument disprove it. First, take the 1920s. Top marginal rates were brought down to 25% by 1928, the bottom rate to .3%, most not even paying income tax at all. Unemployment was virtually non-existent at 3.2%. Annual growth roared at 4.6%. The radio, automobiles and five-day weeks were all innovations of the 1920s, thanks largely to tax policy. By October 1929, not only was tax policy moving back in the direction of higher rates (tariff, income, sales, estate and numerous other increases were underway) but the government had new personnel, from President on down. 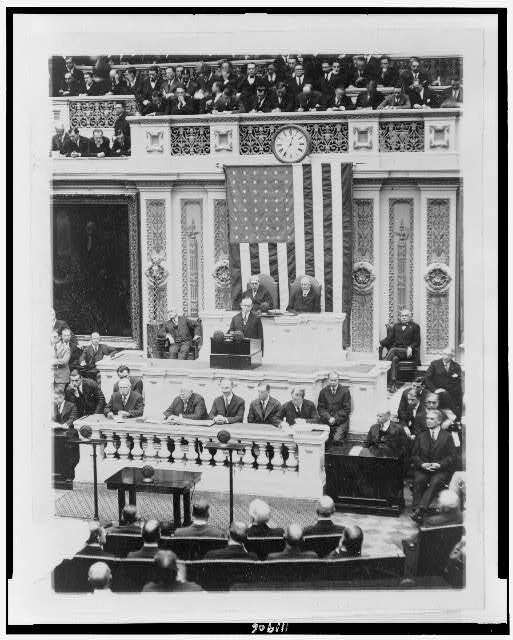 Hoover, a chronic interventionist, had made clear he was breaking from his predecessor’s policies since before he took office in March of 1929. Speculation had overvalued commodities that needed to liquidate as the market, if allowed, corrected itself. What turned the depression into something “Great” was not due to the Coolidge-Mellon tax cuts, it was a deliberate abandonment of their tax approach coupled with a refusal to allow the markets to set value and self-correct. Second, take the Clinton and Bush rate cuts. You omit the fact that Clinton first raised top rates to 39.6% in 1993 and the economy limped along at 3.3%, a remarkable turn-around occurred when the first Republican majority in forty years swept into office and persuaded Clinton to cut rates down in his second term. Growth noticeably rose to 4.4% annually. Bush trimmed the top rate only 13% but the bottom was cut by 33%, resulting in 40% of income earners paying no tax at all. Growth hummed strongly for 73 straight months, 52 of which set records for their rate of expansion. As with the 1920s, there was more at work here than tax policy. The ever-deepening recession that we are now experiencing traces back to the trio of “Affordable Health Care,” the Dodd-Frank Housing Monstrosity and Sarbanes-Oxley than it ever relates to cutting tax rates across the board. Third, take the 1950s and 1960s. The statutory rates were as high as 91% at the outset of this twenty year period but this discounts the effective rates (the rates individuals actually paid) which some have estimated were as low as 49% with a downward trend of 31% by 1960. The number of exceptions and credits, various “loopholes” in the tax structure did not mean top earners paid as high as the statutory rates suggest. In fact, the research of Joe Thorndike and Mike Sullivan shows they were typically paying less than 5% of revenues. Another crucial factor overlooked by the “higher rates cause higher growth” crowd is that America could command world markets in a way unknown today. The world was still recovering from a devastating war that for many had been waging since the 1930s. The U. S. was producing 60% of global manufacturing in 1950. Pair that with the massive upswing we now call the “Baby Boom” that resulted in both a housing and consumption boom, it stands as an example of growth in spite of high tax rates, not because of them. Even so, growth was not what it should have been and proved to be when tax rates were cut down, namely the 1920s, 1960s and 1980s. Under the high rates of the 1950s, growth slowed to an average of 3% a year, encompassing three recessions. A fourth recession in 1960-1 was followed by Kennedy’s tax cuts (top marginal rates from 91 to 70%) causing growth to explode 50% the following year while revenue went up 41%. I guess “supply-side economics” works, whether it is applied in the 1920s, 1960s, 1980s or now. The facts, foreign concepts to the Center for American Progress and others like Paul Krugman and Emmanuel Saez, show that under every economic standard, the policies of low tax rates and constructive economy succeeded beyond all expectations. They made possible a genuine and widespread prosperity for Americans across the economic spectrum. 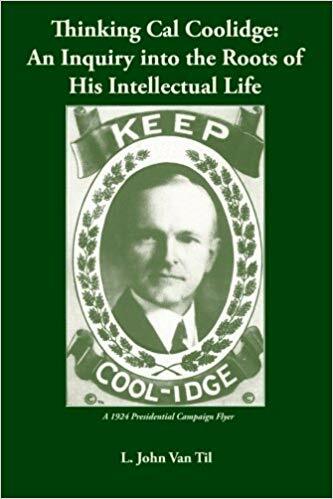 Someone may find this prosperity deficient because “it was not permanent”…but, as Paul Johnson has observed “what prosperity ever is?” (“Calvin Coolidge and the Last Arcadia” in John Earl Haynes’ ‘Calvin Coolidge and the Coolidge Era,’ p.8). I’m not saying that cutting tax rates causes depressions. But I think you would agree that tax cuts are stimulative. So it seems clear that cutting taxes when the economy is healthy can cause it to overheat – and overheated economies usually bust at some point. Tax cuts should be implemented when the economy is weak, IMO. Strong economies are the best time for tax hikes. Alternatively, spending cuts should come when the economy is strong – that’s something Coolidge got right. The 3.3% growth rate before the 1997 tax cut was about average. Cutting taxes in 1997 caused the economy to overheat – the dot-com bubble was not healthy. Likewise, the big tax cuts in the 1920s resulted in the Roaring 20s, which was followed by a major bust.